I Can't believe that we will be in December within the next few days! This month has flew in and although I haven't had much posted this week that is going to change. This week some days will have more than one post going up in a day to get us back to normal and on schedule but today we are joining in with One Dad 3 Girls for #MySundayPhoto. 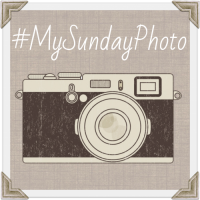 There where some picture this week that I took for the purpose of #MySundayPhoto however I hated them all once I sat down to look at them. It's not really the photo but the story behind the photo that I love and I mean why wouldn't I? It's our story. This week seen the anniversery of when Me and Simon got together 7 years ago. We have been through good times and bad in those 7 years but we are still here and that to me is wonderful! Normally Simon would cook or we would go out (That was before D!) but this year I decided to cook and let Simon relax. I set the table and made a delicious Korean Lamb Chops with rice and salad. 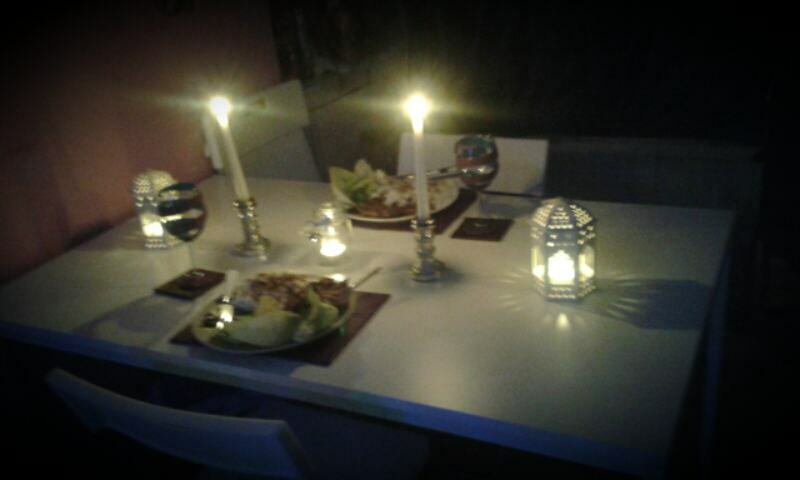 I must admit it was a romantic evening and I loved how the table looked just before we sat down with the glow of candles the only light in the dark room. We had a lovely evening and this photo just reminds me of that.